Over the years, I have worked in a variety of fields, gaining exposure to many different industries. Each industry has unique jargon. Have you ever worked on a cat cracker or executed a turnaround? If so, you probably worked in a refinery. In church, we throw the word ‘discipleship’ around like everybody knows what it means. We talk about needing more of it and how we are really going to focus on it next semester. I was not well versed in church terminology, so I did a bit of research on the word. In addition to discovering this funny video from Tripp and Tyler, I found the major theme of discipleship was ‘following in the ways of someone else’. I love the practical nature of this approach. It is not about reading more books and listening to more sermons or getting another degree. In fairness, I love knowledge and I loved school while I was there. However, real life happens in, well, the real world. What, then, is a disciple? I had a friend boil all that down for me: to be a disciple is to be a learner. I again went back to our old friend Chris Argyris, who stated (with Donald Schön) that learning is the ability to detect and correct error. We are striving to change our behavior to follow in the ways of Jesus. The best way to do that is to discover when we miss the mark and then get better. Sounds easy, right? There are a few key steps to making that happen consistently for you and for those you lead. • Create safety. The foundation of a learning environment is safety. Learners must feel safe enough and confident enough to admit mistakes. First to ourselves, then to our community (family, friends, coworkers, bosses, employees … you name it). 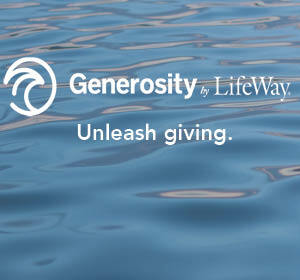 This begins with the leader and sets a tone for all disciples. Exposing your own failures, fears, or questions is a sign not of weakness but of strength. This does not mean exposing every detail of your life to everyone; you must use judgement when being vulnerable. We are all disciples together, sometimes in the role of teacher and sometimes in the role of learner, so we need to consider how we create the environment for others to learn. Find a learning partner that you can listen to, guide, and hold accountable, and who can put their trust in you. • Embrace your mistakes. Too often, the concept of being a disciple of Christ is associated with having everything together. This is not how we think about a student. No one thinks the third grader can calculate the velocity of a moving object on the first day of school. Calling yourself a student begins with acknowledgment that you don’t have all the answers and are prone to mistakes. As disciples, we need to see our mistakes not as failures but as opportunities for growth. We must learn to enjoy our mistakes. Those may be errors in judgement, poorly chosen words, or a swing on that golf club that didn’t work out just right. Remember, mistakes are better teachers than success. • Check your emotions. Think back to the last time you realized you had made a mistake. The bigger the better. Without focusing on the error itself, revisit the experience of that realization. Is that a positive feeling? For most, this is an unpleasant feeling and leaves us running for the hills, thinking, “I will never do that again.” I recently had the chance to hear Brené Brown talk about this sense of being ‘emotionally snared’ and how it limits your ability to think clearly or learn anything new. That mistake you made — can you think clearly about it or are you staying wrapped up in the emotional response? • Talk less, act more. Great, you analyzed your mistake. Unless you translate that into action, you are likely to find yourself in the same position again. Often, through introspection, the learning we gain from a mistake can be applied to numerous situations. Don’t just learn from the individual circumstance. Look for the themes, causal factors, and unique things about your personality that make that situation difficult. Now experiment with new behaviors to see what works. Trying new things helps you know how best to engage with others and get a better result. Is it possible to enjoy your mistakes? I think so, and it happens when you have experienced more good from your errors than bad. When you have presented a mistake to the world, and you got better as a result, that leaves a mark. Lather, rinse, repeat. Over time, reframe the experience of error from fear to excitement. Take a risk and admit the next mistake you make to the most dangerous person in the room. Detect your errors and share them with a close friend you can trust, then ask them for help in changing your behavior. To walk in the ways of someone else, to become disciples of Jesus the Christ, communicate your weakness and strengthen it for the next encounter. > Read more from Dave. 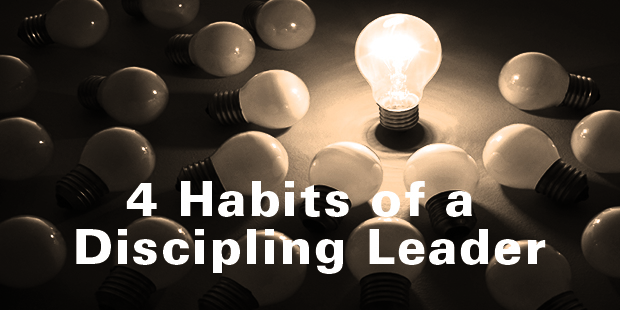 Would you like to learn more about being a discipling leader? Connect with an Auxano Navigator and start a conversation with our team. Dave brings a unique talent for system and process implementation to the Leadership Team at Church Community Builder and also leads our team of coaches. His history of consulting with major corporations to implement change has enabled him to build an impressive coaching framework to guide church leaders towards operational effectiveness. Dave and his wife of many years have a daughter, studying chemistry in college, and a son in high school who's passions include saxophone and drums. In addition for finding Dave at DaveBair.co you may occasionally spot him piloting his hot air ballon in the western sky.